Baghdad (AFP) - Two bomb blasts outside a shopping mall in central Baghdad claimed by the Islamic State group killed at least 13 people, security and medical officials said on Saturday. 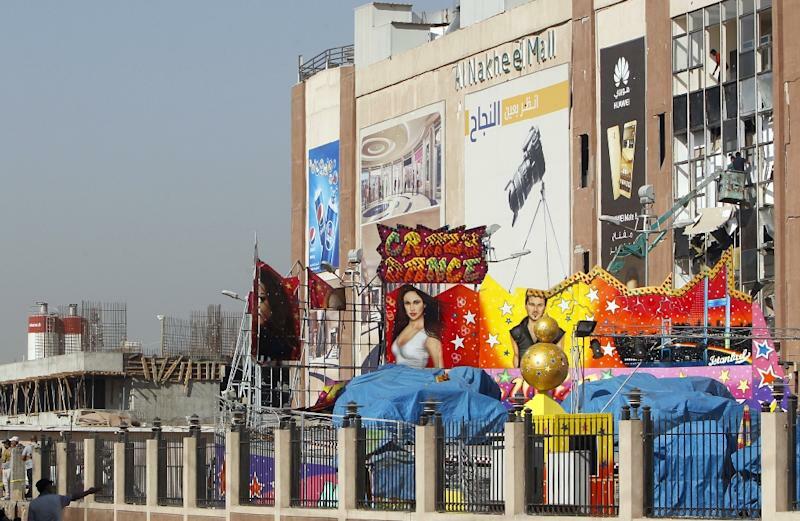 The bombings were the latest in a series of deadly attacks at Baghdad shopping centres this year that have been claimed by IS, including one that killed more than 300 people in early July. The jihadist group issued an online statement on the attack, saying it targeted Shiites and was carried out by two Iraqi suicide bombers, one of whom wore an explosive belt and another who drove an explosives-rigged vehicle. IS and other Sunni extremists consider Shiite Muslims to be heretics, and frequently target them in bombings. The statement said the bomber who drove the explosives-rigged vehicle was from Fallujah, a city west of Baghdad that was retaken from IS in late June. 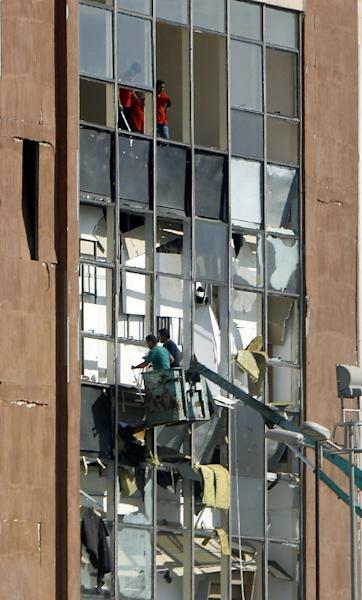 The blasts, which hit just before midnight (2100 GMT) Friday, shattered windows at the multi-storey Nakheel Mall on Palestine Street in the city centre, and damaged a fence surrounding it. As people worked to clean up the rubble outside on Saturday, a private security company guarding the mall sought to prevent images being taken, seizing the cameras of two photographers and a video journalist. The cameras were eventually returned, but video footage shot by an AFP photographer was deleted by the firm. Nakheel Mall opened last year and shops were likely to have remained open late ahead of the Muslim feast of Eid al-Adha which begins on Monday. The mall also houses one of the city's most popular cinemas. IS claims most major attacks in Baghdad, including some carried out at shopping centres earlier in the year. On Tuesday, a car bomb near a hospital killed at least seven people in Baghdad's Karrada district -- an area still reeling from a July 3 suicide bombing that set nearby shopping centres ablaze and left more than 300 people dead. IS claimed the Karrada blasts, as well as an attack involving gunmen and a car bomb that killed at least 12 people near another Baghdad mall in January. IS has suffered a string of military defeats over the past year and the caliphate it proclaimed in June 2014 is rapidly shrinking. As the jihadist organisation loses territory across Iraq, officials have warned that it may step up revenge attacks against civilians in Baghdad and other cities.